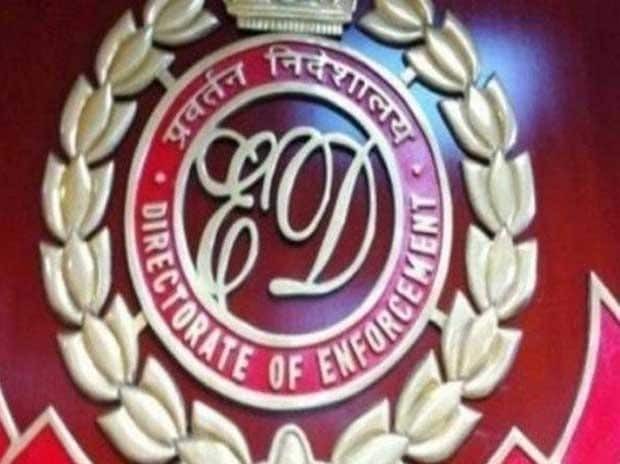 Enforcement Directorate, Chennai has attached assets worth Rs 224.6 crore pertaining to Siva Group of companies, which are linked with C Sivasankaran and Axcel Sunshine Limited of BV Islands, in a bank fraud case. The action was taken under Prevention of Money Laundering Act (PMLA) on receipt of a complaint from Central Vigilance Commission, the CBI, BS&FC, Bengaluru filed FIR against Axcel Sunshine Limited, C.Sivasankaran, Siva Industries and Holdings Ltd. Siva Group of companies, bank officials and others, for non-payment of loans of $67 Million disbursed by the IDBI Bank, Chennai. During investigations under the provisions of PMLA, as the loan amount granted by IDBI has been utilised for repayment of earlier loans and the earlier loan amounts were merged with the business expenses of Siva group of companies, based on the concept of equivalent value, various immovable properties worth of Rs. 224.25 crores and movable properties of Rs.35.32 lakhs were identified and have been provisionally attached under the provisions of PMLA, 2002. Immovable properties attached includes vacant lands and office premises at MRC Nagar, T. Nagar, Chennai and movable properties includes mutual funds and balance amounts available in their Bank Accounts.